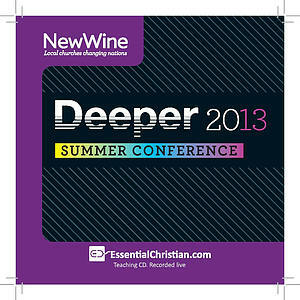 Christian meditation & mindfulness is a Shaun Lambert talk recorded at New Wine - 2013 on Practical Christian Life available as CD format. Spirituality and mindfulness are the new social phenomena. Although Buddhist and psychological versions dominate the marketplace, the human capacity for awareness and attention has a biblical theology. In this talk Shaun Lambert explores the possibility of personal transformation and contemplative evangelism through Christian meditative practices. Be the first to review Christian meditation & mindfulness a talk by Shaun Lambert! Got a question? No problem! Just click here to ask us about Christian meditation & mindfulness a talk by Shaun Lambert.